Orphan, refugee, and soldier-for-hire Asala Sikou doesn't think too much about the end of civilization. Her system's star is dying, and the only person she can afford to look out for is herself. 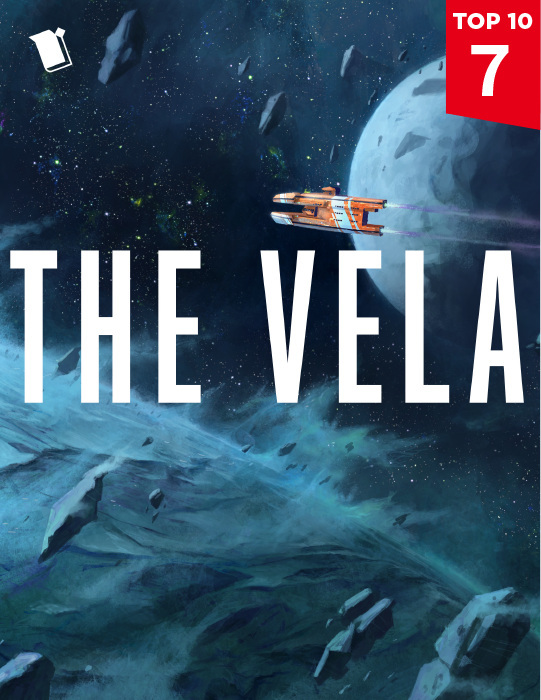 When a ship called The Vela vanishes during what was supposed to be a flashy rescue mission, a reluctant Asala is hired to team up with Niko, the child of a wealthy inner planet's president, to find it and the outer system refugees on board. 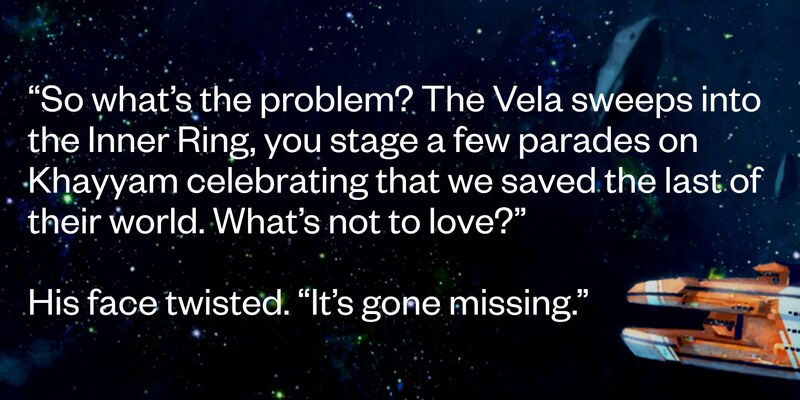 But this is no ordinary rescue mission; The Vela holds a secret that places the fate of the universe in the balance, and forces Asala to decide—in a dying world where good and evil are far from black and white, who deserves to survive? In the fading light of a dying star, a soldier for hire searches for a missing refugee ship and uncovers a universe-shattering secret. Soldier-for-hire Asala Sikou grudgingly accepts a mission that will take her to the far reaches of the system. The mission is off to a rocky start. On an icy planet, the search for information brings new leads. When they arrive at the refugee camp, Asala and Niko make a startling discovery. There's one key to survival—and they've stolen it. A crash landing leads to a discovery. A clandestine meeting leads to a clash.